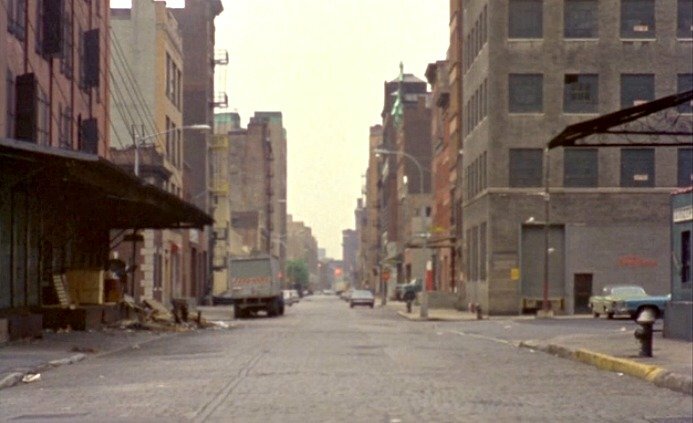 “News from Home” is a 1976 documentary by filmmaker Chantal Akerman that uses New York City as a backdrop while she reads aloud letters her mother had written her while she was living in the city. 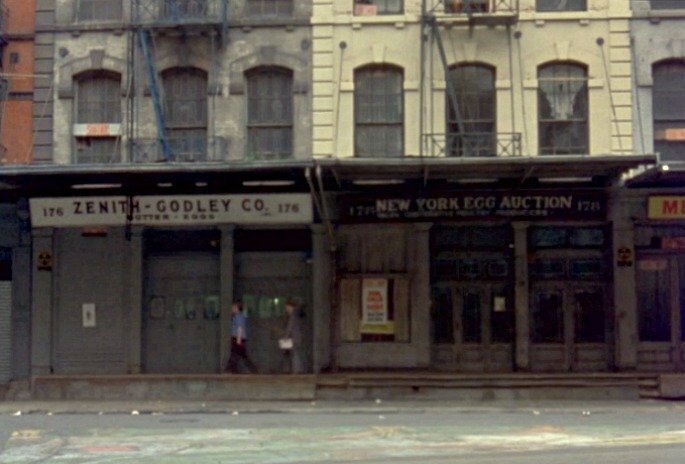 The film wasn’t groundbreaking by any stretch, but 40 years later, it provides a glimpse into a bygone era in New York. 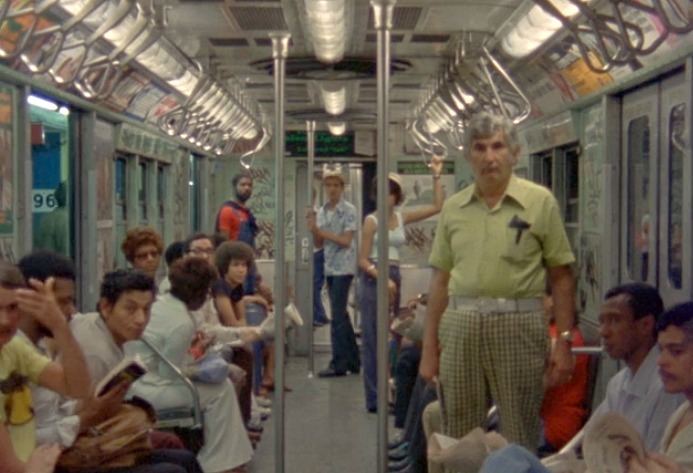 Tribeca Citizen unearthed a digital version of the documentary on Hulu and took some great stills, including those of vintage subway cars and Tribeca’s Staple Street skybridge. The latter (which is actually where the film begins) has made headlines recently as it’s one of Manhattan’s last skybridges and the two residences on either side of it (one a townhouse, one an apartment) are currently for sale for $30 million, meaning one lucky buyer can claim the historic structure as part of their home. Tribeca Citizen notes that not all the stills of the neighborhood are identifiable, but they do paint a good picture of how much more industrial and deserted Tribeca was in the ’70s. 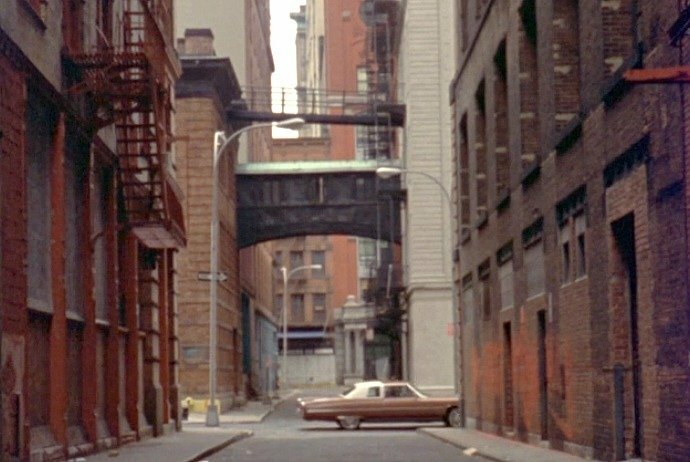 The film’s cinematographer Babette Mangolte reportedly lived in Tribeca, so it makes sense that the area is so well featured. There’s also great shots of vintage subway cars when they were still covered in graffiti.